The official website for Summit Entertainment’s The Darkest Hour has revealed several concept art pieces. 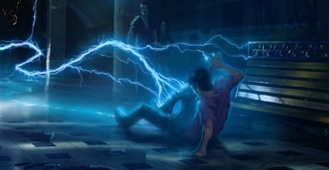 The concept art depicts the seeker aliens as virtually invisible only being detected by the surrounding electrical systems they activate. The Darkest Hour follows five young people who find themselves stranded in Moscow, fighting to survive in the wake of a devastating alien attack. The 3D action-thriller highlights the classic beauty of Moscow alongside mind-blowing special effects from the minds of visionary filmmaker Timur Bekmambetov (Wanted, Night Watch) and director Chris Gorak.